Weddings, Shows & Event entertainment: we can help. Daniel Y Desiree Choreo team new season starts Nov 22. Learn, dance & travel with us! The Ultimate Bachata Experience. 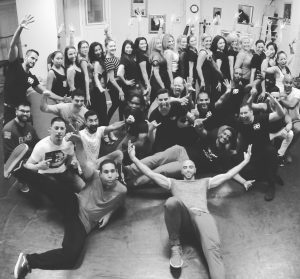 Baila Boogaloo has Salsa Lessons for children and adults of all ages, group classes, private lessons, first dance and bridal choreography. The Baila Boogaloo Dance Company is now a proud Sponsor of Air Miles Earn 3x Airmiles with Baila Boogaloo and your BMO MC with our easy online registrations for Salsa, Latin, kids, performance, privates lessons and special events! ‘Dog Whisperer’ Cesar Millan loves Merengue!